From the first moment newborns open their eyes, they begin a life long journey on discovering the world. Your baby's visual system develops over time with the most dramatic developments taking place within the first year of life. Within a few short weeks, babies learn to accurately focus on near objects and can discriminate between what they see. Visual development occurs while they learn to sit, crawl, and play. 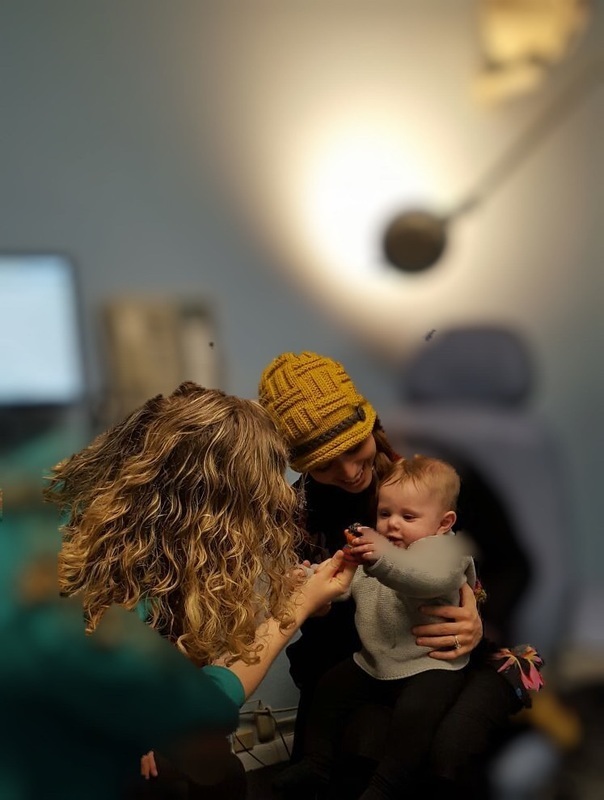 As participating doctors in the national public health program InfantSEE, it is our goal to monitor and advance your newborn's visual development. We strive to help you and your child begin a life-long commitment to enhancing visual function with clear, comfortable and efficient vision. 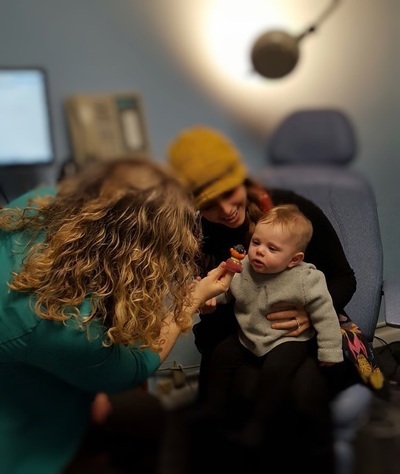 InfantSEE is a national public health program created by the American Optometric Association, in collaboration with The Vision Care Institute of Johnson & Johnson Vision Care Inc. 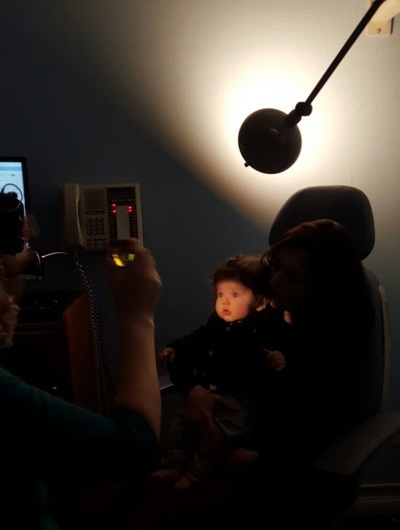 It provides one no cost vision assessment to every baby in the United States between ages of 6 months and a year. We encourage every parent to have their baby's vision assessed with a comprehensive eye screening in the first year of life. Visual acuity may be measured long before your child knows shapes or letters. 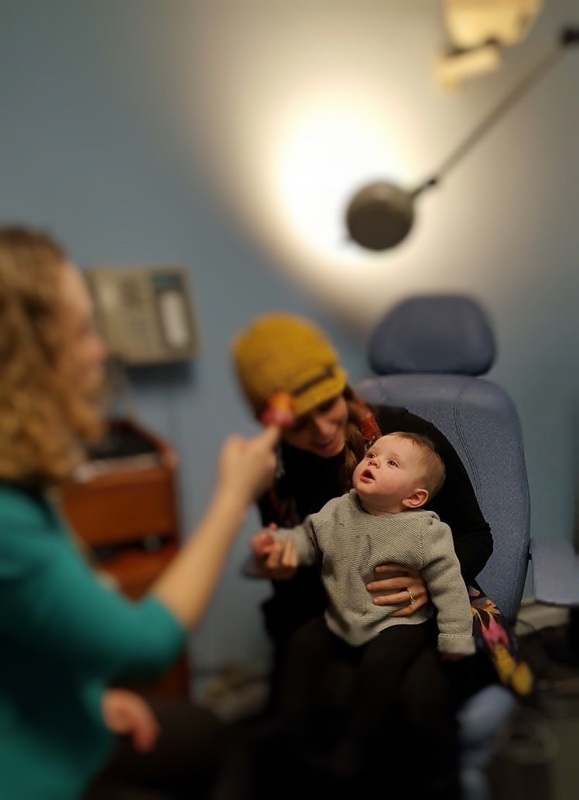 By the time your newborn is 6 months old many significant visual developmental milestones have been reached making this a perfect time for your baby's first eye examination. Comprehensive vision and eye health assessments evaluate the health of the eyes, clarity of sight (visual acuity), eye movements and alignment as well as refractive status. It is a preventative measure to detect problems that can hinder your child's proper visual development. Efficient vision relies on good visual acuity, ocular health and eye teaming and makes learning a more enjoyable experience for your child. There are some factors that may put your child at a higher risk for visual impairment at an early age. These include: premature birth, low birth weight, oxygen levels at birth, prolonged labor, or a family history of eye disease, amblyopia (lazy eye) and strabismus (crossed or wall eyes). 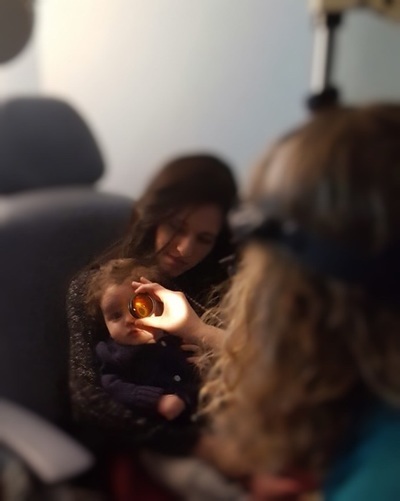 The Clinical Practice Guidelines of the American Optometric Association recommends that all babies undergo a comprehensive eye examination by an eye doctor in the first year of life. Vision is arguably one of the most important senses for development and learning. Doesn't your baby deserve the opportunity to have the best vision possible? Call our office at 212-685-2457 to schedule your baby's no cost vision assessment now. To learn more about InfantSEE, please visit: www.InfantSEE.com. To best prepare your child for his/her first appointment with our doctors, please download, print and complete the InfantSEE Patient Information paperwork, attached below, prior to your appointment.